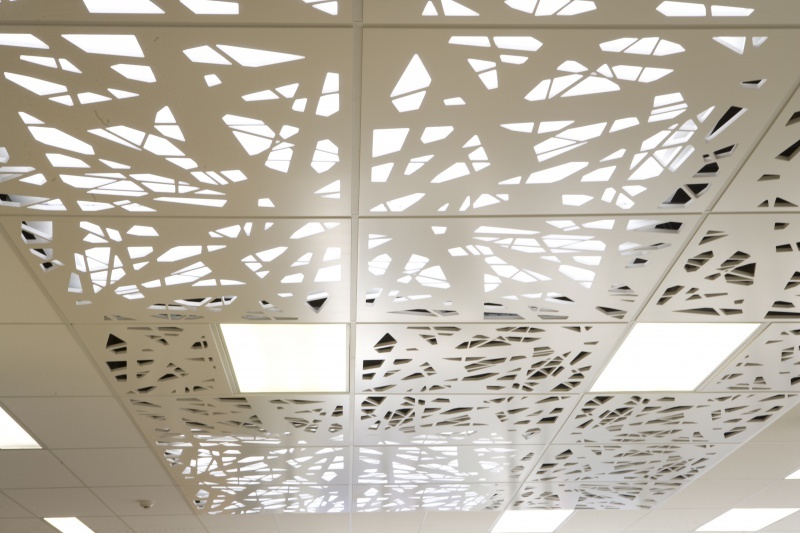 Product: Decortech Firesafe MDF with Custom "Broken Glass" Perforations and Decortech Factory Applied White Satin Finish. 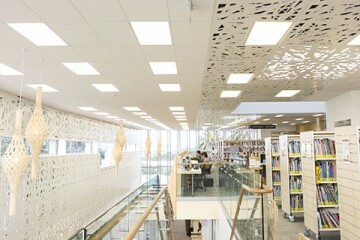 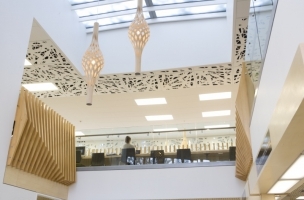 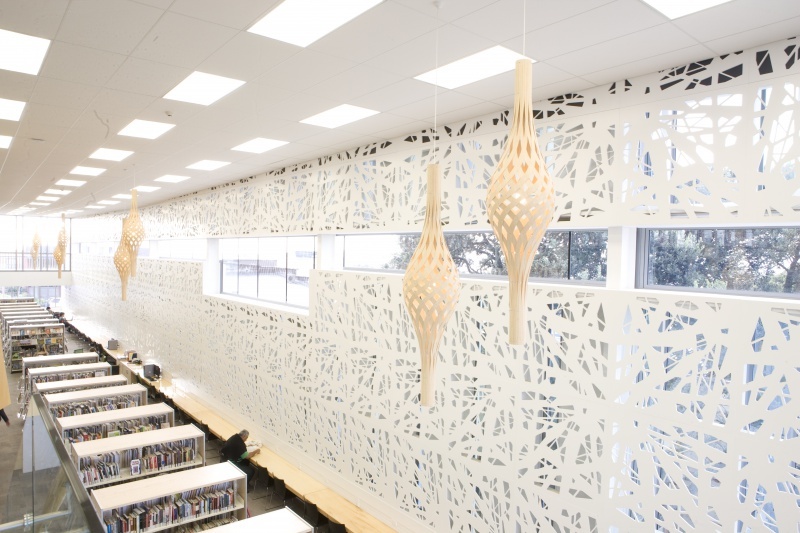 The award winning Birkenhead library showcases a number of different Décortech panels. 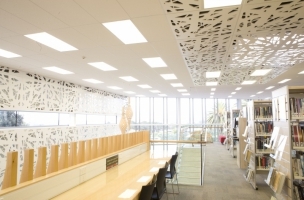 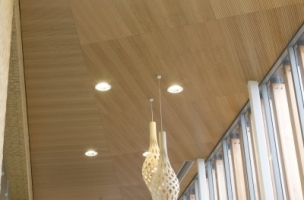 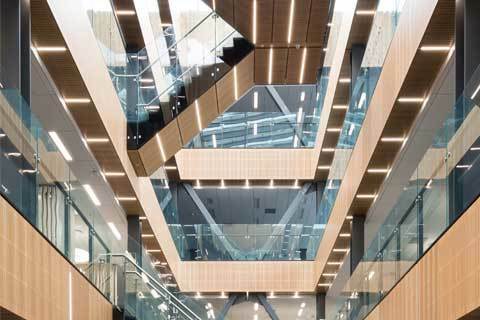 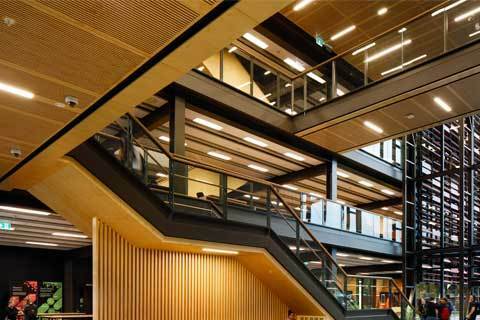 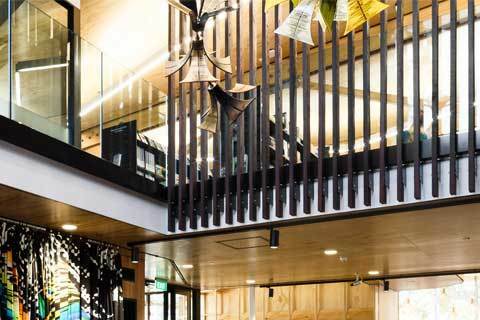 The Broken Glass custom design was used on the walls and ceilings in the main library with Multigroove Acoustic Panels with Tasmanian Oak veneer used in the foyer ceilings and a mixture of bubble and plain concept ceiling tiles in meeting rooms. The “Broken Glass” pattern was designed by the architect for the project to give the totally unique design. 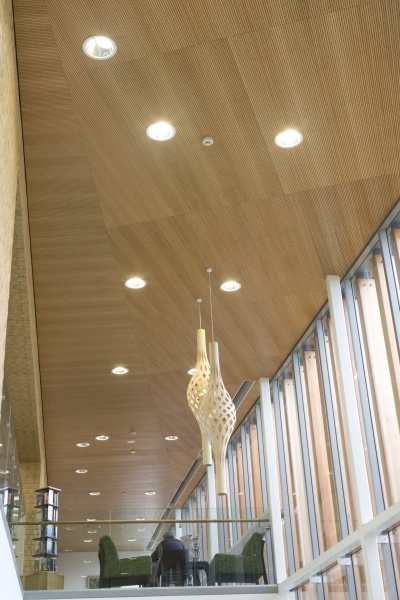 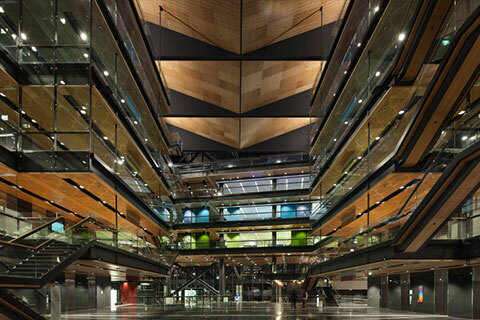 Firesafe MDF was used to meet the stringent fire ratings required for public spaces. 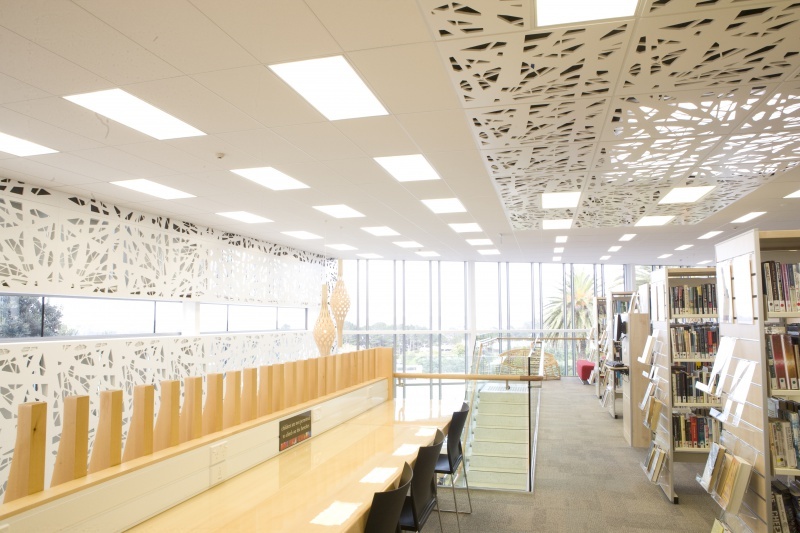 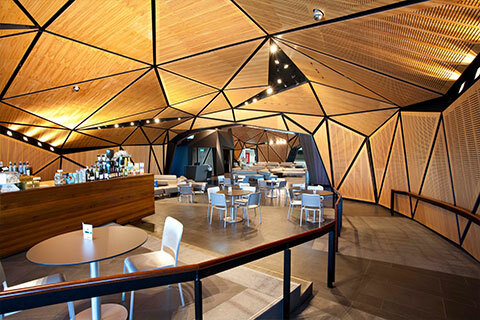 This project has combined a highly decorative look with the functional acoustic and fire retardant aspects required. 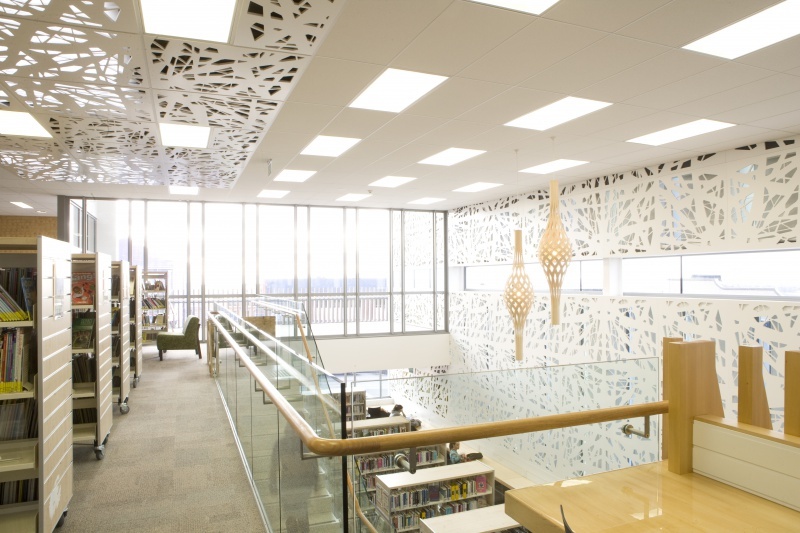 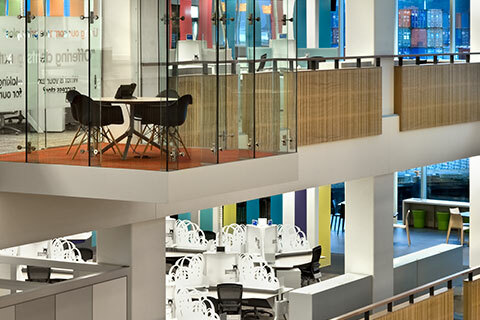 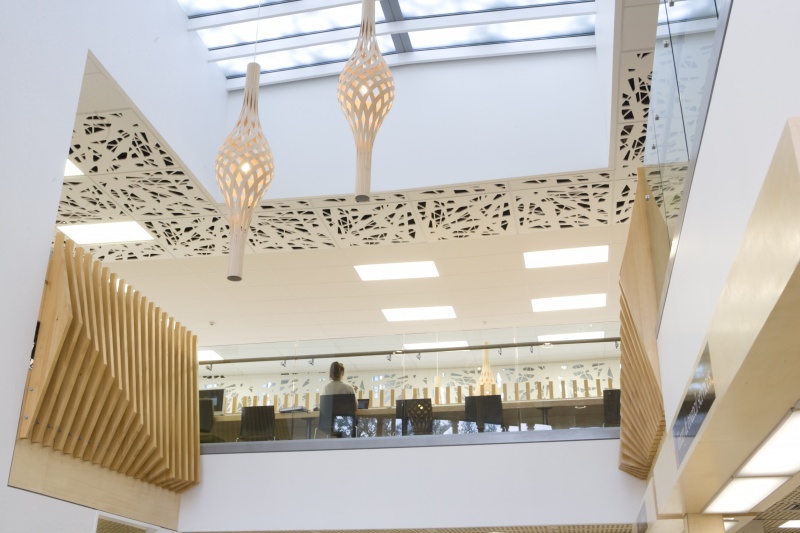 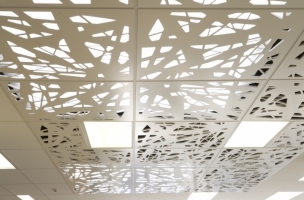 The perforated panel allows filtered lighting into the library through the main window and sky lights in the ceiling that subtly changes throughout the day.